All wars that end in victory may provide a platform for peace. Yet the victory alone cannot replace the harmony expected by a war-torn citizenry, whose staple food was gnawing sense of uncertainty. Every Sri Lankan, irrespective of his/her political and religious ideologies, has a reason to celebrate this victory day and those that will follow. We, as a nation, have tasted death in its crudest forms and seen it metamorphosing itself into human bombs and claymore mines. Hence, the day the military victory was declared over the Tigers was the day we were born again. Thanks to those who faced the ruthless Tigers and marched to death and those who came home with missing limbs, today, we breath, gather and travel in public transport, without the fear of getting blown off on our way home. Yet, the question remains as to how safe is safe enough. The pageantry, that will boast of the manpower and the arm power of the three forces, cannot sufficiently summarize the three-year-old journey of the post war Sri Lanka. The island nation, in its newly acclaimed status, which is not so new, still has a lot of ground to cover in its march to perpetual peace. The celebration has been all about ending the bloody war; yet, it has failed to reveal as to where the peace begins. It may be all about annihilation of terrorism from the island soil, yet it is not about the elimination of fear. No doubt, an annual reminder of a war victory that put an end to terror, is important. But, it is equally significant to see that the end was permanent. In a country where a commission after commission is appointed to diagnose the sickness of ethnic disharmony and each commission report is subject to a tug-of-war before being sent to the bin, there arises the fear that the very reason for celebration might go from proud pageantry to a mere historic reference. Having succumbed to the various international pressures directed at Sri Lanka due to its lackluster attitude towards reconciliation, the victory that is worth the celebration would be the day, every citizen is granted equal rights and made free from segregation. 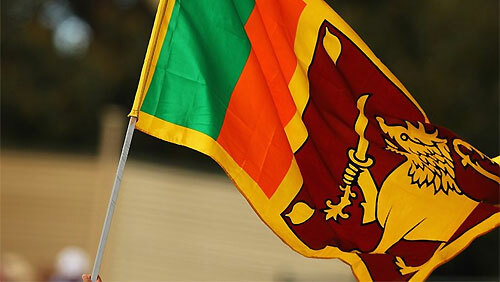 Be they the citizens of the south, or those of the war-ravaged North and East, theirs is an ultimate wish to tune their pulse to a common Sri Lankan heartbeat. Ideally, without igniting sense of nostalgia among people, a wise government should be rendering utmost support its citizenry that still believes and depends on the former’s effort to find a lasting solution. A dance of the Lion flag might die down when the wind falls low; yet, the flag of peace should flutter forever. Hence, without indulging in lavish flaunting that doesn’t benefit anyone but themselves, the pageantryloving, privileged minority should make sure that, the reason for celebration remains intact at least to keep satisfying their vanities.